Happy New Year! I hope you had a wonderful holiday season. Ready to get to work? We interrupt our series on the 5 disruptions to marketing (2018) to bring you these three resolutions for getting the most out of your marketing technology stack in the year ahead — along with specific ideas for implementing them successfully. 1. Rationalize your martech stack. I love the term “rationalize” because the root of the word means to be rational. To rationalize your martech stack is to get more out of your best marketing technology tools — and to get rid of tools that you’re either no longer using or duplicate functionality that you have elsewhere. I put that last caveat in italics because duplication can be in the eye of the beholder. What a check-the-box-feature-list in an IT audit might consider to be a duplicate tool may not be viewed that way by the different teams that actually use those tools. There are good reasons to have those multiple tools, because they enable either better customer experience or greater team productivity in different use cases. The benefits of those good reasons outweigh the “costs” of having those multiple tools — not just their subscription costs, which are often modest, but the organizational costs associated with different data and different processes. Or those costs can be mitigated, such as by sharing essential data over APIs across tools to common repositories — DAMs, CRMs, MAPs — possibly using something like an iPaaS solution. Nonetheless, even if you have “good duplicates” in your stack, you’re almost certain to find that some tools are just not being used or could be superseded by something better elsewhere in your toolset. Take this opportunity to clean those up. 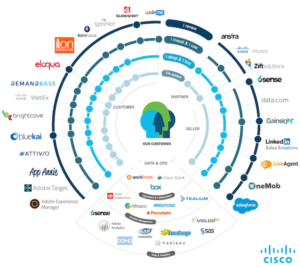 A good way to go about rationalizing your martech stack is to visualize your marketing stack. It’s a great exercise — and, hey, New Year’s resolutions have to include some exercise — to uncover all the different tools in your martech stack and think carefully about the role they each play in your marketing organization. Take inspiration from these 57 martech stacks from last year or these 12 org stacks that show how marketing technology fits into a marketing organization, or even these 41 marketing technology stacks from 2016. 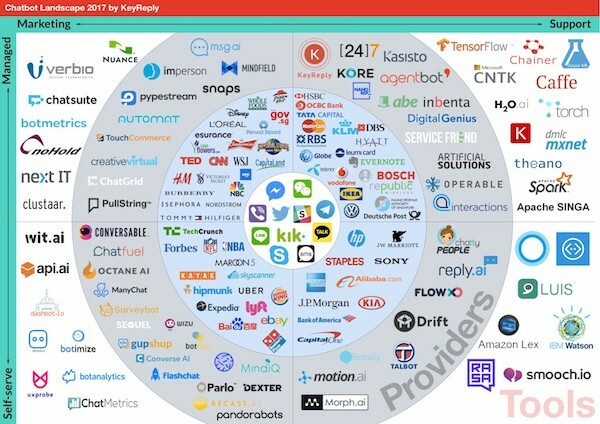 Creating a single slide that illustrates your martech stack also serves as a clear way to communicate the capabilities of your stack inside your organization, to help educate everyone in marketing — and related stakeholders, such as IT and sales operations — on the technologies and processes you have in place. 2. Grow and rejuvenate your martech stack. I know, this sound contradictory to your first resolution to rationalize your stack. But it’s not. One of the advantages of rationalizing your stack is that it actually makes it easier for you to phase in new technologies as you need them. And you’re going to need new technologies. The digital world continues to advance at an incredible rate — this is Martec’s Law in action. If you don’t take advantage of innovations in the market, your competitors may. So your resolution for 2018 should be to (continue to) experiment with new marketing technologies. Don’t let your martech stack — or the marketing tactics you apply with it — stagnate. Allocate a reasonable portion of your resources (time and budget) to trying new marketing technologies. A recent Gartner study found that on average CMOs allocate 10% of their budget to “innovation.” That sounds like the right ballpark. Don’t overspend here, but don’t underspend either. Initially adopt new martech software in a trial or pilot program. Most martech vendors should make it easy for you to do this. (If they don’t, ask why.) This should be a fast-tracked process on your end, as you want these trials to be relatively low-overhead experiments. Have a fixed time frame for evaluating the results of the pilot, say 3-6 months. Enforce a more stringent evaluation process for adopting marketing technologies into the core of your marketing stack. A successful pilot is just the first step. Make sure you address: integration with the rest of your stack, training and support to ensure adoption, availability and performance SLAs, privacy and security compliance, and options for migrating away from the tool in the future, just in case you ever need to. Appoint someone as the head of your marketing stack (if you haven’t already) — half architect, half evangelist. This person takes responsibility for governing your overall marketing stack, to make sure that all the pieces fit together coherently. They take the lead in educating the rest of the marketing team with what’s possible with your stack, so you get the most value out of it. One area of marketing technology that you should definitely be experimenting with is chatbots. 2018 is going to be a year of explosive chatbot innovation. You can already see it with messaging platforms overtaking social media sites and voice-interface services such as Amazon Alexa and Google Assistant experiencing exponential growth in adoption. There are plenty of other emerging technologies to keep an eye on — virtual reality, blockchain, “realtech” blending physical and digital experiences, etc. 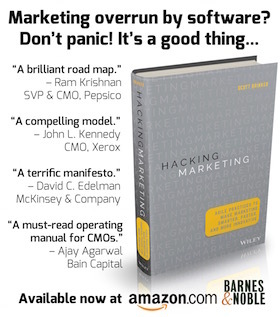 — but don’t overlook innovative new approaches to content marketing, social media marketing, or marketing analytics. Keep discovering. Keep learning. Keep advancing. 3. Keep the customer at the center of your martech stack. But it’s an excellent New Year’s resolution to reaffirm the purpose of your marketing stack and critically evaluate how every product in it effects the experience that your prospects and customers have. It’s not just about using the right tools. It’s about using your tools right. Audit the customer-facing touchpoints of all marketing software in your stack — emails it may send, landing pages it could serve, social media messages it might post, etc. You might be surprised how many “shadow touchpoints” there are lurking in different tools. Review all reports and dashboards associated with your martech stack to make sure that the metrics you’re using to guide your efforts are aligned with good customer experience outcomes. Test your “alert” systems — if a customer-facing touchpoint goes down, or experiences performance degradation, or throws errors as a result of bad data, etc., will you be notified of the problem quickly? Will systems automatically fail gracefully to some sort of acceptable fallback? Champion a data cleaning initiative to purge your core CRM or customer data platform of outdated information about prospects and customers. Nothing is worse that using dirty data to “personalize” customer experiences in the wrong way. Use security and privacy mandates — such as the impending GDPR, which goes into effect May 25 — as an opportunity to improve customer experience. For instance, implementing a friendly preference management system is a great way to simultaneously address GDPR policies (which go into effect May 25) and give customers more. 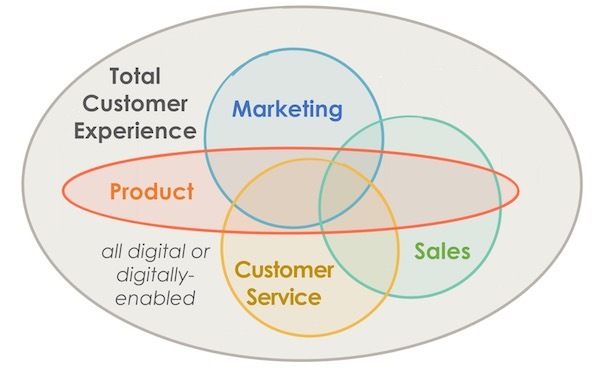 Collaborate with your counterparts in sales, customer service, and product — or the analogous equivalents in your business — to make sure that the intersections between your martech stack and the tools and technologies they use deliver continuity to the customer experience across the entire organization. If you can achieve these three resolutions over the next 12 months, 2018 is bound to be a good year for your martech stack (and therefor your business and your career). I’m rooting for you! Disclaimer: this is a blatantly self-promotional resolution for me to tack on at the end. Sorry. 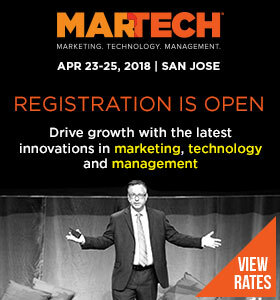 But in all seriousness, if you have the opportunity to attend MarTech in San Jose, April 23-25, you really should try to make it. I promise it will be worth your while. More than any other conference, MarTech delivers a deep dive into the topics in marketing and technology that impact your organization: the reality behind the hype of artificial intelligence, conversational interfaces, customer data platforms, bridging physical and digital experiences, data lakes, attribution models, the impact blockchain is having on reshaping adtech, security and privacy issues such as GDPR policies, and so much more. If you’re a marketing executive responsible for leading your marketing organization and its operations and technology, this is a conference designed especially for you. You’ll meet over 2,000 of your peers from around the world and over 100 leading marketing technology vendors, all in once place. If you do resolve to attend MarTech, purchase your ticket before January 27 to get the best price with our early bird “alpha rate.” We’d love to see you there. Best wishes for an amazing 2018 in everything you do. Relentlessly optimise the (huge) investment in your Martech. Happy new year, keep up the great work. Technology is changing at very faster rate and it is very important to keep updated with the new and latest technology. As we all know that the advancement of technology is fast as compare to organization adopt it. Companies now have to move at par with the technology and delivers the best product or services to customer and satisfy them completely to get success in business.